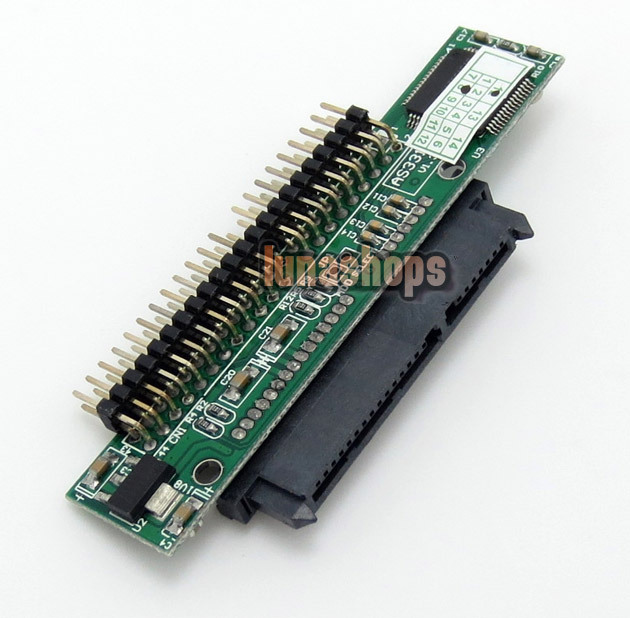 You can use this adapter/card to connect 2.5" SATA HDD/SSD to 44P IDE motherboard,connect more devices easily & quickly to your computer,this bidirectional converter enable them work with each other in matey . 2. Easy install & no driver required. 3. Self-power mode & no external power required. 5. 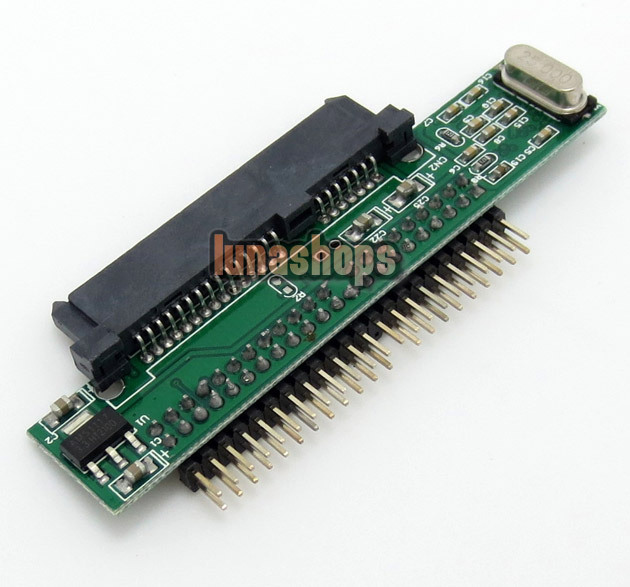 SATA 7+15P female To IDE 44P male connector. 6. Stable and reliable chipset: JMICRON JM20330. 7. Super compact design & no space wasted.Support boot.Supports any OS. 8. Compliant with UDMA6 ATA/133 specification. 9. Compliant with Serial ATA specification revision 1.0.